Why is the government keen to back DAB? Why is the the government so keen to back DAB? Why is DAB associated'digital quality sound'? Following our recent interview with leading digital radio specialists Pure Digital, TechRadar recently spoke with digital radio enthusiast, Steve Green (Editor of website digitalradiotech.co.uk) – a vociferous critic of DAB and the BBC / radio industry's digital radio strategy in general. TechRadar: So what are your thoughts on the recent interview we ran with Pure Digital? 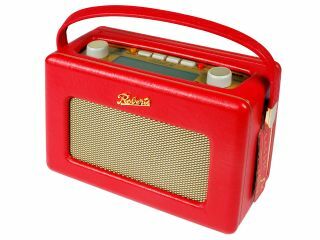 Specifically, what do you think about internet radio and how it relates to DAB radio in the UK? Steve Green: One thing that Pure Digital's version of 'the future of radio' failed to mention was that the audio quality on internet radio is either already far better than on DAB, or it will be in the near future. For example, the BBC's on-demand radio programmes on the iPlayer, around a third of all UK commercial radio stations' internet streams, and over 8,000 internet stations on shoutcast.com are already at higher audio quality than on DAB, and the BBC's live internet radio streams are about to leapfrog DAB in terms of quality in the next two to three weeks once they switch to using the AAC/AAC+ audio codec. So internet radio provides better quality audio than DAB? Yes. Internet radio has the big advantage that the streams can use modern audio codecs, such as WMA and AAC/AAC+, whereas DAB is stuck using the prehistoric MP2 codec that dates all the way back to the 1980s. But the main reason why so many internet radio streams now provide higher quality than DAB is because internet bandwidth has become dirt-cheap over the last couple of years. Furthermore, because the price of bandwidth is linked to Moore's Law, the price of bandwidth is expected to continue falling for another decade or more. So the quality of internet radio will only improve over time, and it's basically inevitable that internet radio will outclass both DAB and DAB+ in terms of audio quality. What about content? Is there not an argument that 'quality content is king'? That broadcasters need to make money? And, by extension, that internet radio is only ever going to cater for small 'niche interest' groups of listeners? It's important to remember that all DAB stations have Internet radio streams anyway, so I completely disagree with the view that DAB is for big stations and the internet is just for small niche streams. I use internet radio to listen to both. The DAB supporters [such as Pure and the BBC] face a bit of a conundrum here, because for the last few years they've mainly been promoting DAB on the basis that it provides greater choice. But a typical DAB listener can only receive around 35 stations (people in London receive more stations, people out in the sticks usually receive less), whereas there are 10,000+ internet radio stations, and thousands of on-demand streams, such as the radio programmes on the BBC iPlayer and podcasts. There's no contest: internet radio wins hands down on choice. But it isn't just about the number of stations, it's the breadth of choice that's important, in my opinion. Commercial stations on DAB try to attract as many listeners as possible, because that's how they make their revenue. But that means that there will never be stations on DAB covering smaller niche genres, whereas internet stations cover every niche genre imaginable, because there are so many of them. Where does the government's Digital Radio Working Group (DRWG) fit into all this? The DRWG was made up of representatives from the BBC, commercial radio and the DAB receiver manufacturers, and they recommended to the government that everyone should be pushed towards buying DAB, but they didn't include internet radio in the long-term plan for digital radio at all. And the government supports the DRWG's recommendations, so we'll see the BBC step up its saturation TV advertising for DAB, but internet radio won't receive any promotion, even though they know full well that if they did promote internet radio as well as DAB they'd be able to switch FM off sooner, which is their ultimate goal. Current page: Why is the government keen to back DAB? Next Page Why is the the government so keen to back DAB?